It’s dark, early and cold. Our alarm chimes brightly urging us toward consciousness. My eyes open and a single thought floats to the forefront of my mind: hot air balloons! We scramble to dress, quickly pulling items like coats, gloves and winter hats out of retirement. Stepping into the brisk, pre-dawn air, our lungs fill with a fresh dose of chilled oxygen. Endorphins igniting, excitement courses through our veins. Despite our shortened slumber, we are fully alert. Walking to the shuttle bus, we are joined by other early risers, equally bundled and filled with anticipation. The bus delivers us to the entrance of Balloon Fiesta Park and here we join the sea of spectators collectively converging onto the damp, grassy field. 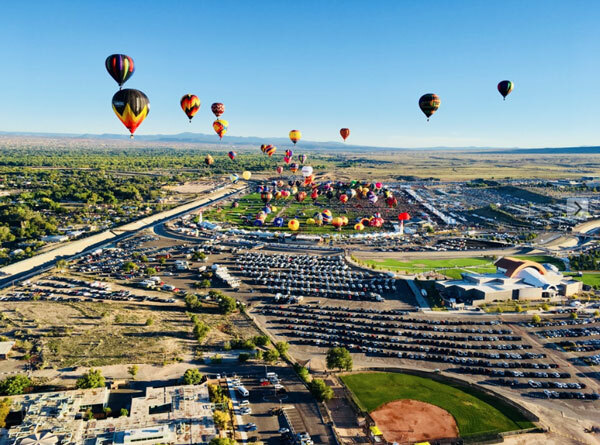 We are all here for the same portentous* reason—to be wowed by gondolas, burners and envelopes—more simply: hot air balloons. Thanks to the suggestion of my friend Melissa Moss, Trent and I are media pass holders allowing us complementary admission onto the field and access to the media tent. 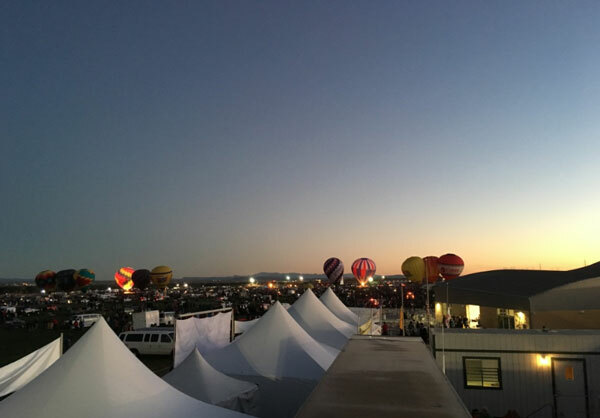 Here we grab warm drinks and breakfast burritos and I add my name to the balloon ride sign-up page. I’m told not to expect to be called for a ride on this opening day and I don’t. My name, scribbled on the top of page two behind many other hopeful people, is clearly too far from the top to gain attention.